Investing can be a complicated process. One of the most popular forms of investment is an ETF – an Exchange Trade Fund. They’ve been available since the 1990s and are common components of a financial portfolio – especially for first-time investors. Read our short ETF guide to learn more about what they are, why you should consider adding one to your portfolio and how to wisely invest in them. An Exchange Trade Fund combines the ease of use and low fees of an index mutual fund with the flexibility of a single stock. They are more liquid than mutual funds, since they can be traded like stocks, can be purchased in single shares in most cases (making them more available to beginner investors) and typically have lower to no tax fees during normal exchanges. ETFs trade on exchanges during the entire market day, so you can buy and sell them whenever the market is open – just like single, regular stocks. 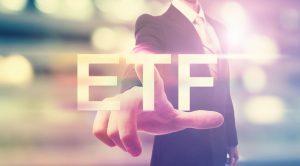 ETFs can be a great option to add to your portfolio – just make sure you understand what you’re getting into! Additionally, ETFs have now come under fire for making it too easy for investors to passively invest in stocks without taking on the associated shareholder responsibilities of keeping oversight on the management of the companies they invest in. As a result, index funds and ETFs are slowly distorting the market and the market responsibility of price discovery is getting diluted. You do have to purchase ETFs through a stock broker. This can take a significant chunk out of your earnings if you have to pay a brokerage commission on every purchase and sale. A good way to cut down on brokerage fees is through investing a lump sum, all at once. You’ll need a brokerage account – a way to know if your account is suitable is simply this: if you can purchase or sell stocks in it, then you can also buy and sell ETFs through it. If you’re looking to start investing (see: how to invest in the stock market), want to diversify your portfolio, or just want a new type of investment to add to your list, consider an ETF. They are a solid way to build up your portfolio – just be sure you know the risks and associated fees!